Former Harry Potter star Daniel Radcliffe stars in the sharply funny Miracle Workers, a workplace comedy with a twist. The workplace is Heaven, presided over by a wackadoodle God (Steve Buscemi) who has decided to blow up Earth and open a restaurant. Low-level angel Radcliffe and his colleagues in the department of unanswered prayers make a bet with God that if they get two young lonely-hearts to fall in love, he’ll agree to save humanity. They’ve got a two-week deadline, and the task proves to be a lot more difficult than they thought. It premieres February 12 on TBS. 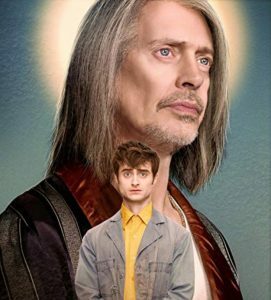 Radcliffe, whose mother is Jewish, has said that he is “not religious in the least, but I am very proud to be Jewish.” He’ll next be seen on the big screen in Guns Akimbo, an action comedy. 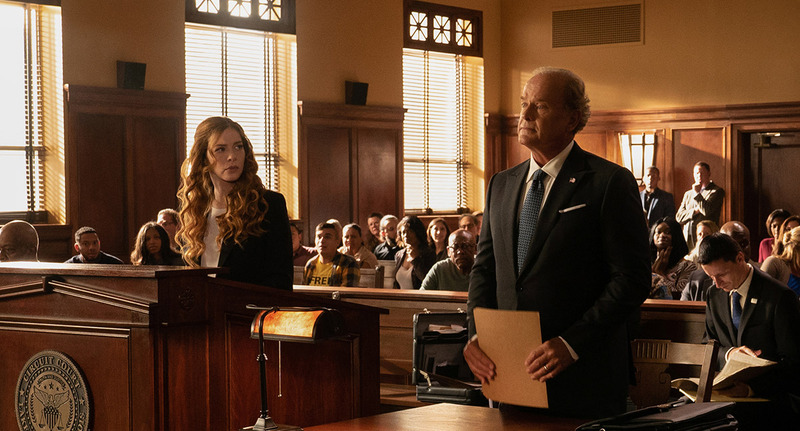 In the Fox drama Proven Innocent, premiering February 15, Rachelle LeFevre plays a defense lawyer specializing in exonerating the wrongly accused, and she personally feels their pain: She spent 10 years in prison for a crime she didn’t commit. Now she faces off in court against the prosecutor (Kelsey Grammer) who put her there. LeFevre’s mother is Jewish, and her stepfather is a rabbi. 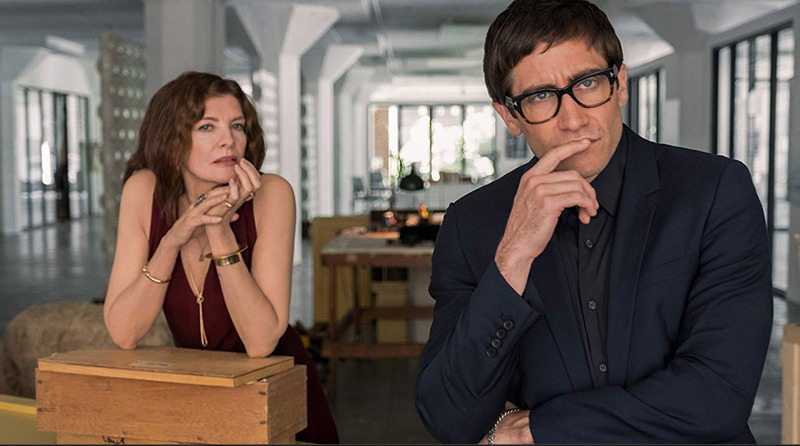 A dead artist’s paintings take revenge from beyond the grave on those who wronged him in the thriller Velvet Buzzsaw, premiering February 1 on Netflix. Jake Gyllenhaal as an art critic heads a cast that includes John Malkovich, Rene Russo, Toni Collette and Daveed Diggs. Both Diggs and Gyllenhaal have Jewish mothers and identify as Jewish. 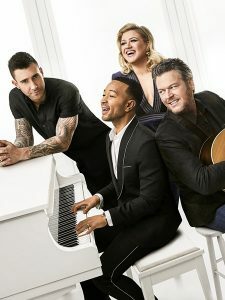 Adam Levine, whose band Maroon 5 will headline the halftime show at Super Bowl LIII on February 3 on CBS, returns to his revolving judge’s chair on NBC’s The Voice February 25, alongside Blake Shelton, Kelly Clarkson and John Legend. The singer, whose father is Jewish, is in an interfaith marriage with model Behati Prinsloo, the mother of their two daughters. The Walking Dead’s Lauren Cohan teams up with Scandal’s Scott Foley in the ABC spy series Whiskey Cavalier, playing a CIA agent who has a love-hate relationship with her FBI rival-turned-partner. Cohan’s parents were Christian by birth, but her mother converted to Judaism—her second husband’s faith. Lauren did as well, later becoming a bat mitzvah. Whiskey Cavalier will have a sneak preview on February 22, preceding or following the Academy Awards, depending on the time zone, and debut on its regular night February 27. Workin’ Moms, a hilarious comedy series set in Toronto about the hectic lives of women juggling jobs and babies, is a hit in Canada, where its third season just premiered. Netflix has picked up the first two seasons, and will launch season one on February 22 and season two in the spring. The sitcom is the brainchild of Catherine Reitman, who stars in, writes, and produces it with her husband Philip Steinberg. The daughter of French-Canadian actress Geneviève Robert, who is not Jewish, and Jewish-American director Ivan Reitman, she’s the sister of director Jason Reitman (The Front Runner), who is now making a sequel to his father’s Ghostbusters. The six-episode series Flack is set in London at a public relations firm specializing in crisis management for the misbehaving famous. It stars Anna Paquin (True Blood) as a fixer who can’t fix herself, and British actress Sophie Okonedo (Hotel Rwanda) as her fierce, formidable boss. Okonedo, whose father was Nigerian-British, was raised by her Russian-Polish Jewish mother and has said she feels “as proud to be Jewish as I feel to be black.” Flack premieres on POP TV February 21, and Okonedo will appear in a new Hellboy movie later in the year. Baker and Food Network star Duff Goldman, who is Jewish, married his girlfriend Johnna Colbry, who is not Jewish, at the Los Angeles Museum of Natural History on January 19. Duff’s team at Charm City Cakes made five cakes for the nuptials, including three that were suspended from the ceiling and one made of meat, with a mashed potato frosting. Goldman will face off against Cake Boss’ Buddy Velastro in the Food Network series Buddy vs. Duff, debuting March 10.